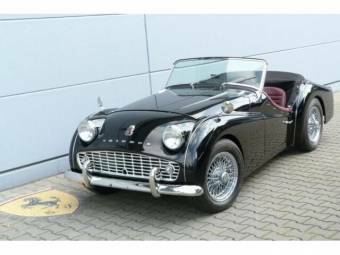 Released by the Standard Triumph Motor Company in 1955, the Triumph TR3 two seater roadster was more powerful than its TR2 predecessor, with a 95 BHP 1991 cc straight-4 overhead valve engine. 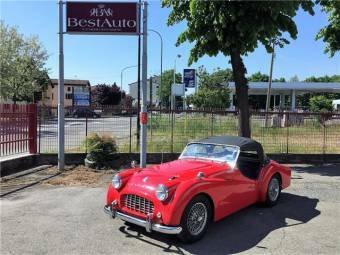 The car underwent two updates during its production life finally being built as a 2.2-litre 105 BHP model. 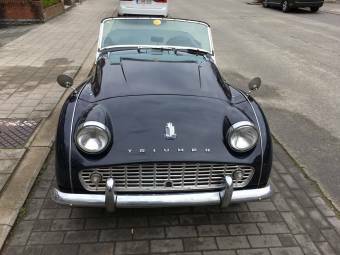 In 1962 production was eventually phased out as sales of the 1961 TR4 took off. 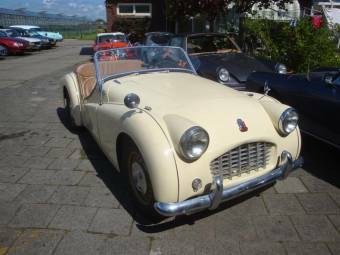 The first version of the TR3 was built between 1955 and 1957. 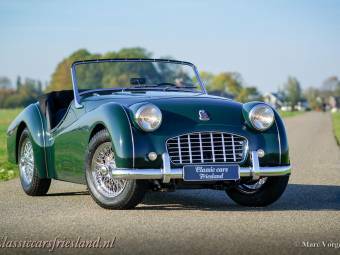 A quicker replacement for the earlier Triumph TR2, with a redesigned front grill, the TR3 came with a 4 speed gear box and an electrically controlled overdrive unit. SU-H6 carburettors accounted for the increase in horse power (+ 5BHP) from the 1991 cc engine. The front suspension featured tube shock absorbers, double A-arms, coil springs and an optional anti-roll bar. The rear suspension was leaf sprung with lever arm dampers. With 15-inch steel wheels as standard, customers could opt for 48-spoke wire wheels in a variety of finishes, as well as other extra’s such as seatbelts, a hardtop, and leather upholstery. 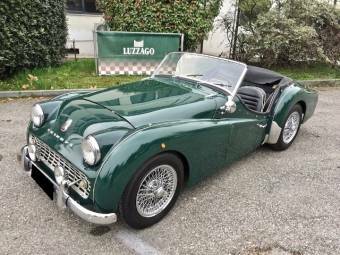 Initially featuring all drum brakes, in 1956 after 4408 original TR3’s had been built, the front brakes were changed to disc versions but there was no servo assistance in the braking set up. 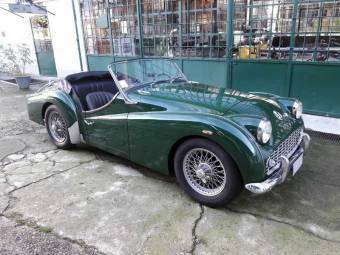 The TR3 thus became the first British production car to feature disc brakes. 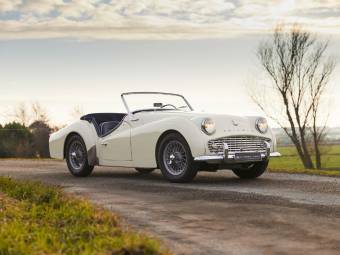 Some 13,377 units of the TR3 were produced with UK sales accounting for just under 10% of these, the remainder going for export mainly to the US. 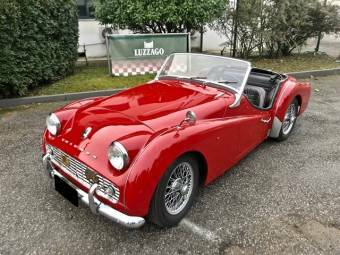 1957 saw an updated TR3 model released, unofficially known as the TR3A or ‘facelift’ model. The car featured a revised radiator grill, a lockable boot handle, exterior door handles and a full tool kit as standard. 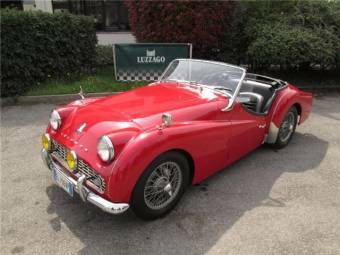 In 1959 a slightly modified version of the TR3A was released. This featured body work changes to boot and bonnet,a rear floor section redesign and the windscreen was attached with bolts. 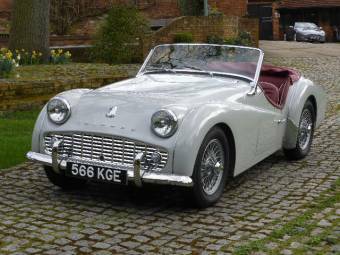 Some 58,236 units of the TR3A were built until 1962 saw the final version of the car released. 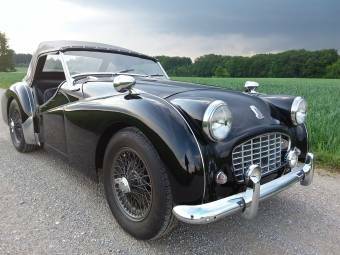 In 1962 as a response to concerns from dealers about the new TR4's popularity, the final TR3 version was introduced, unofficially known as the TR3B. 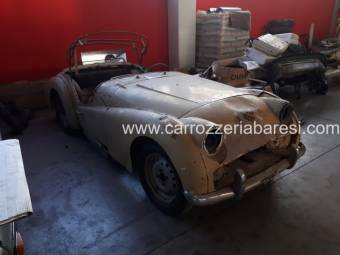 This short production run was sold alongside the TR4. Some 530 TSF type TR3B vehicles were produced and 2804 units of the TCF type TR3B. 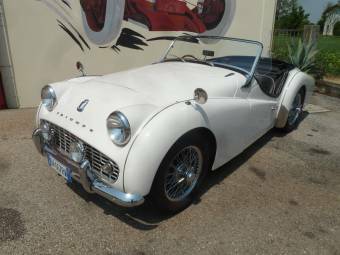 The TSF’s had the same 2-litre engine as the latter TR3A’s plus the TR4’s syncromesh gearbox. 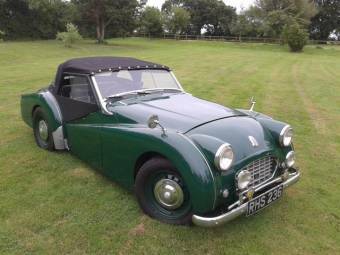 The TCF versions had a 2.2-litre 110 mph engine, different headlight rims and a wider grill.